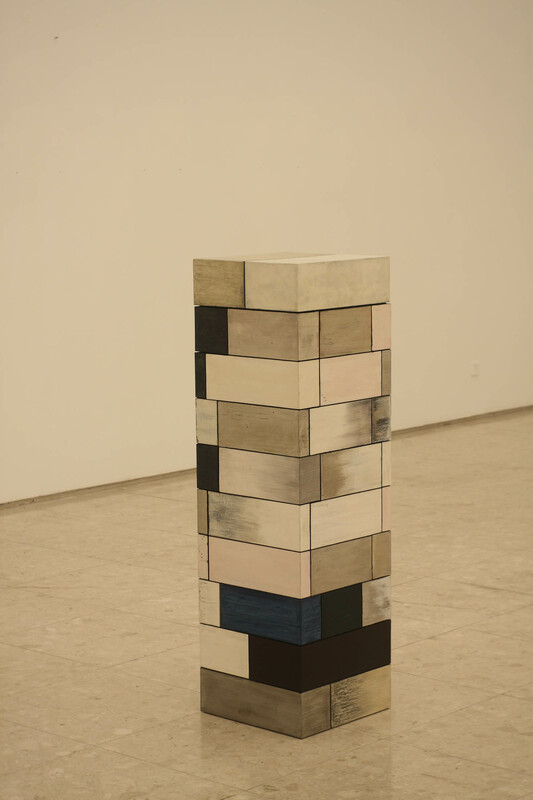 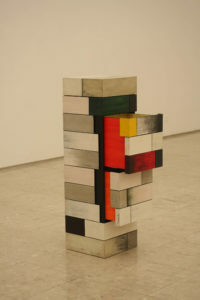 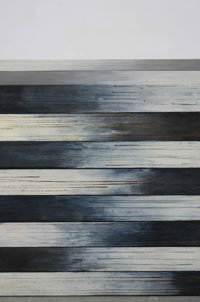 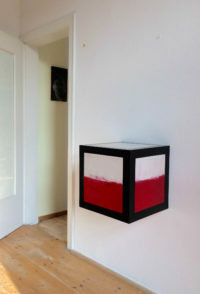 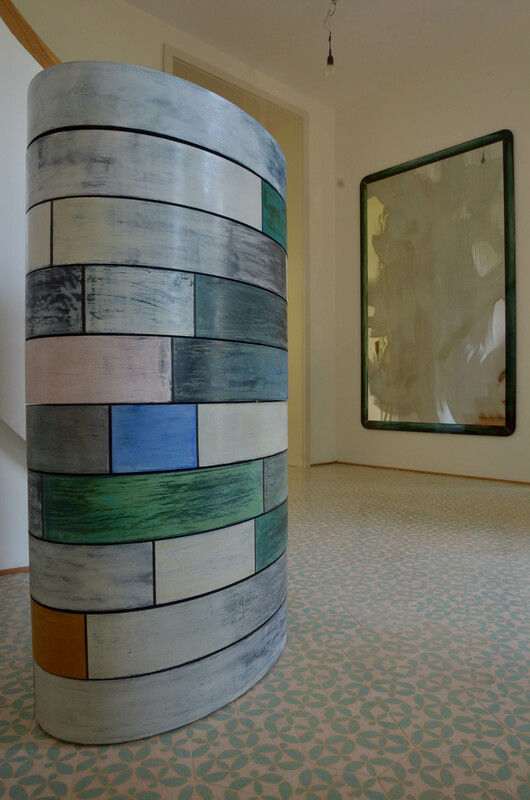 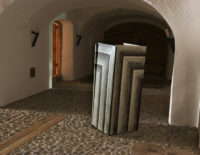 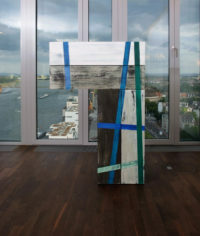 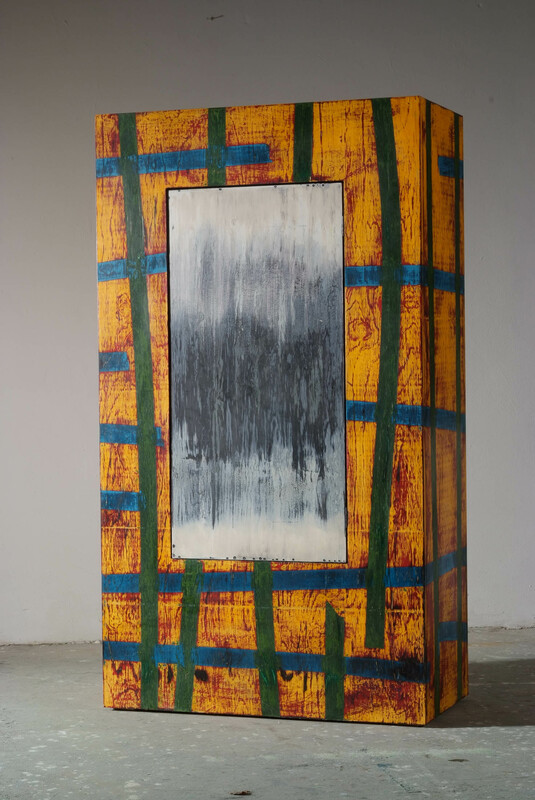 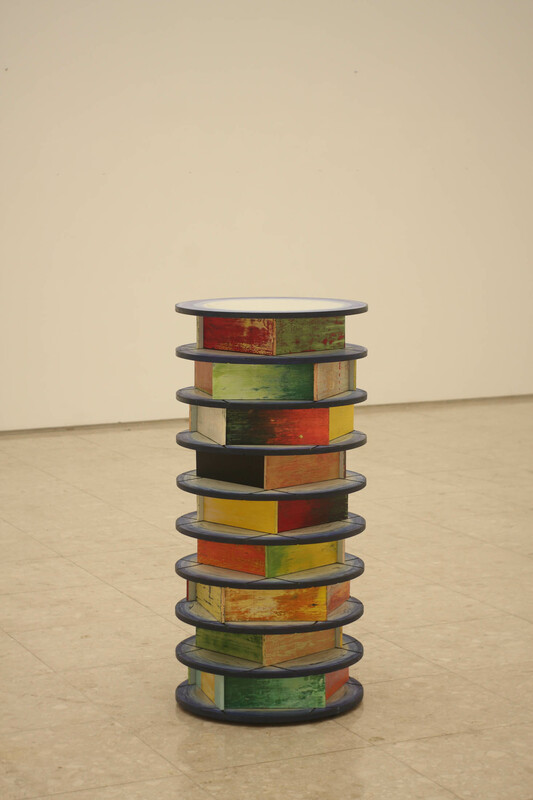 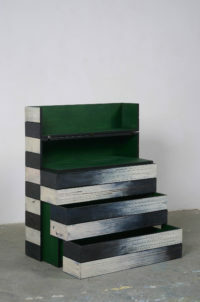 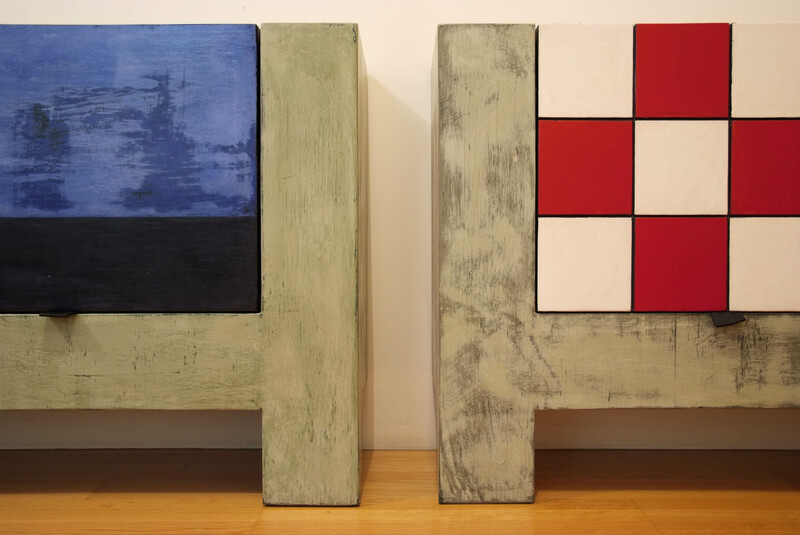 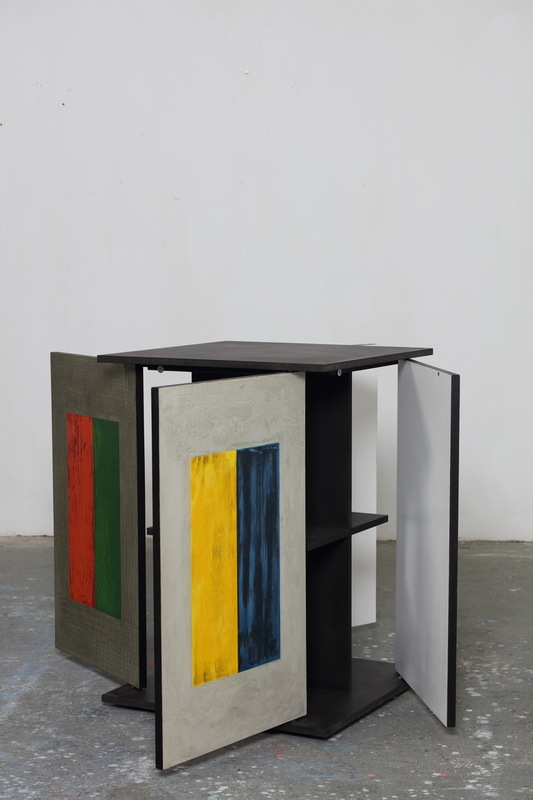 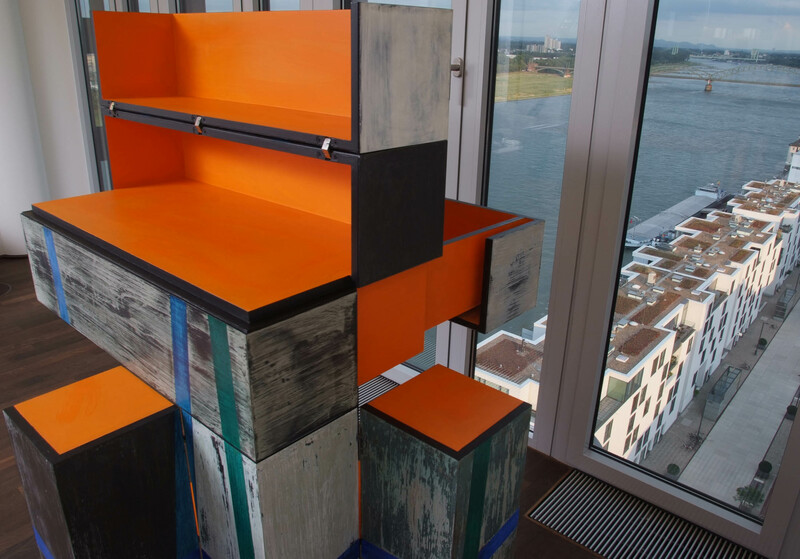 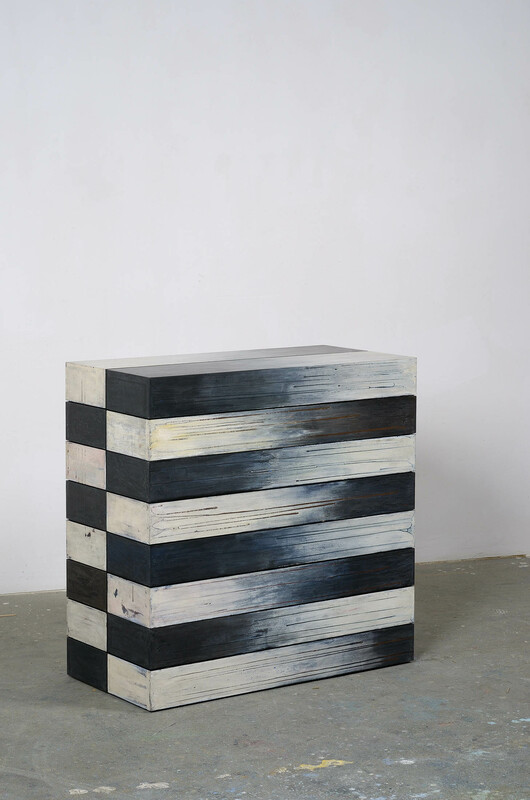 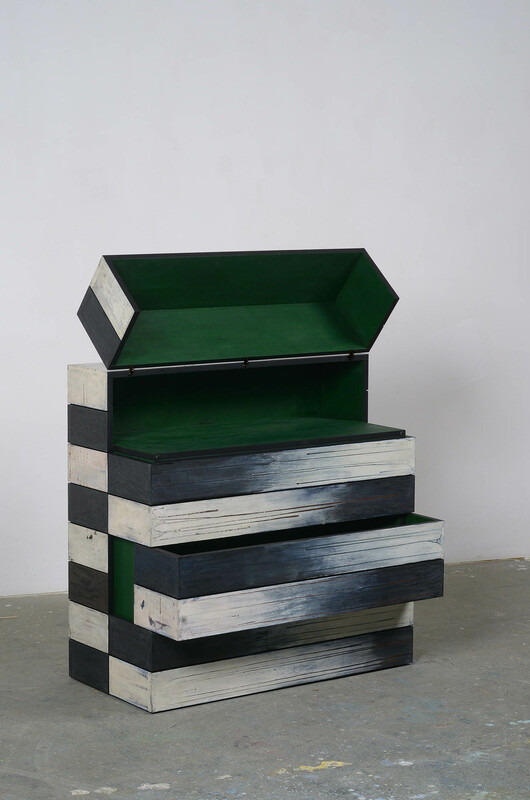 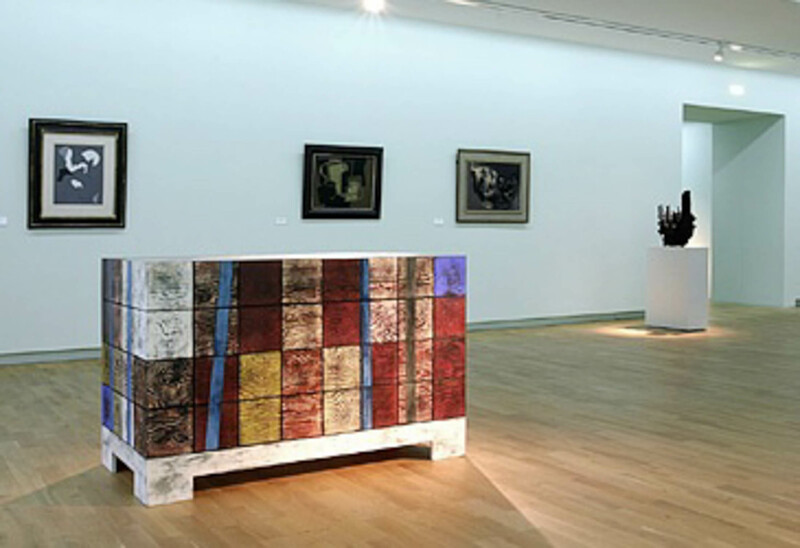 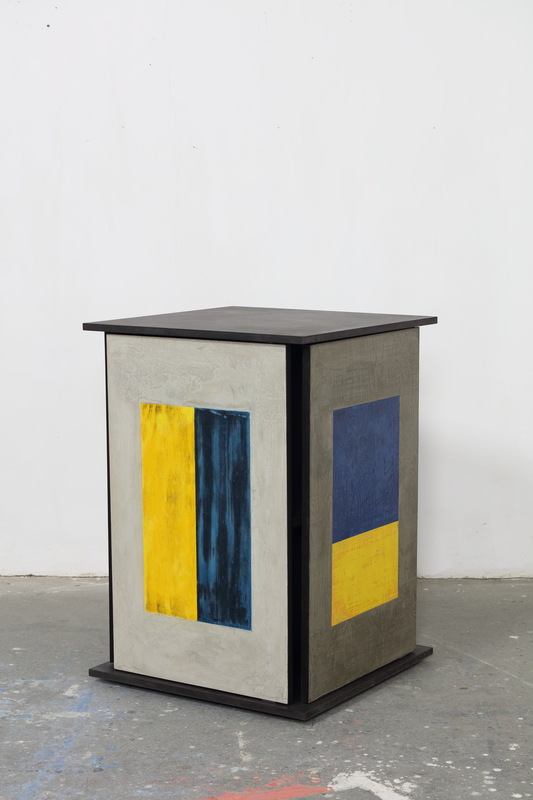 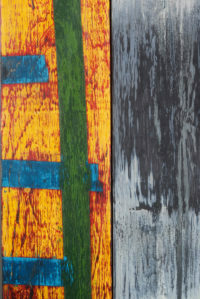 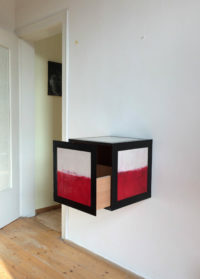 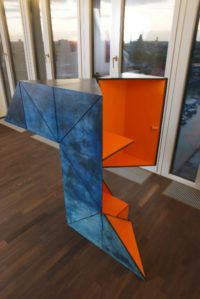 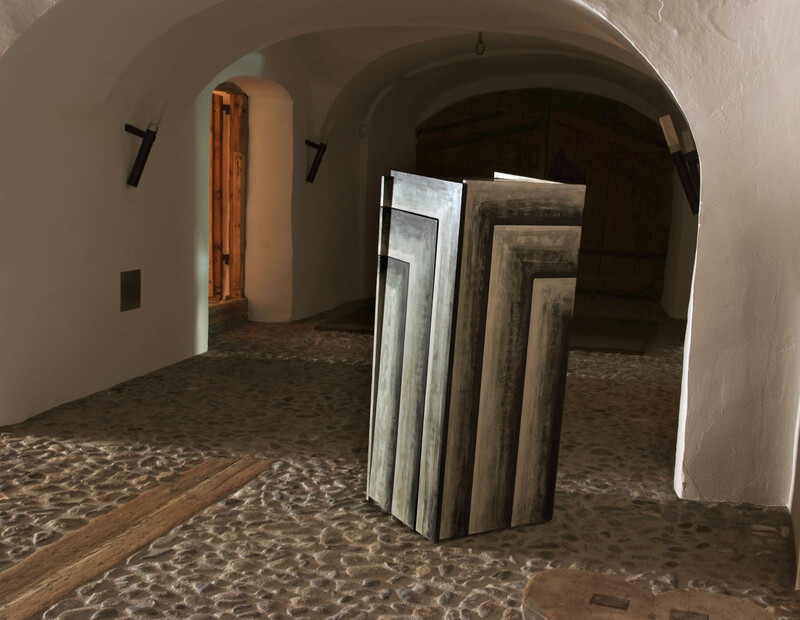 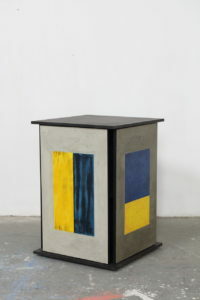 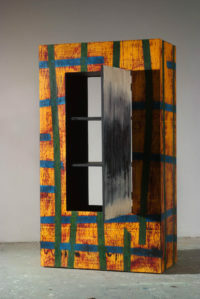 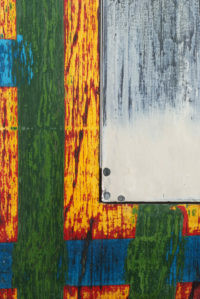 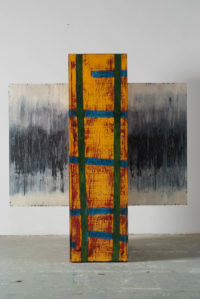 The decentralization of the painterly surface achieved by the all-over technique, as it was practised in abstract expressionism and minimalism, is now applied by Growe to a solid body to hide the functionally prescribed divisions of the piece of furniture in a formally dissolved, non-hierarchical articulation…. 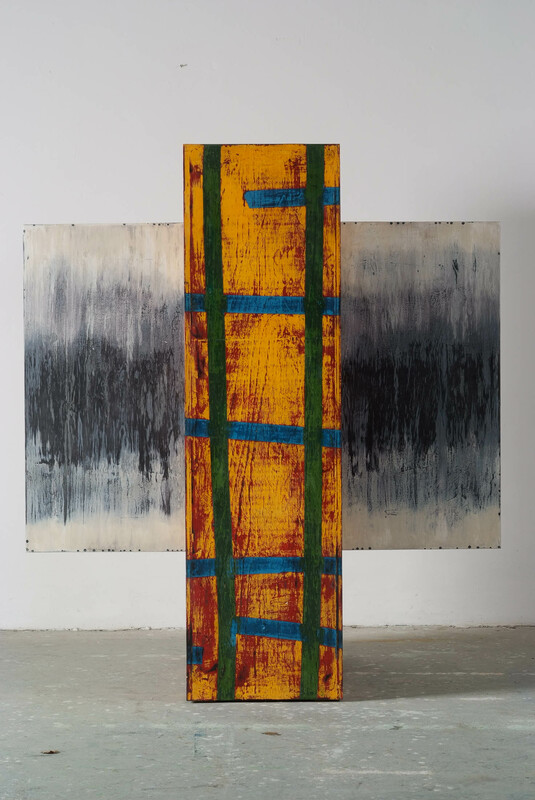 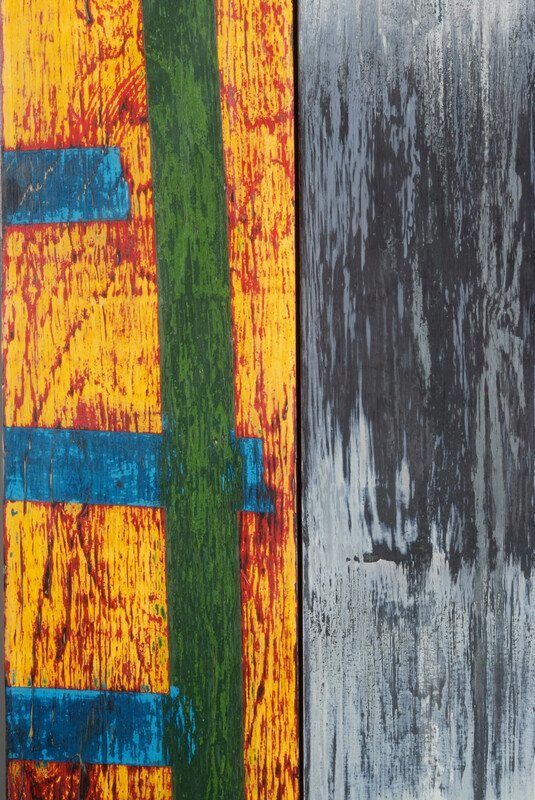 The holistic perception of Michael Growe’s paintings requires not only the recognition, but also a turning-away from external, physical space in order to delve into the voluminous chromatic space which the surface reveals to the gaze. 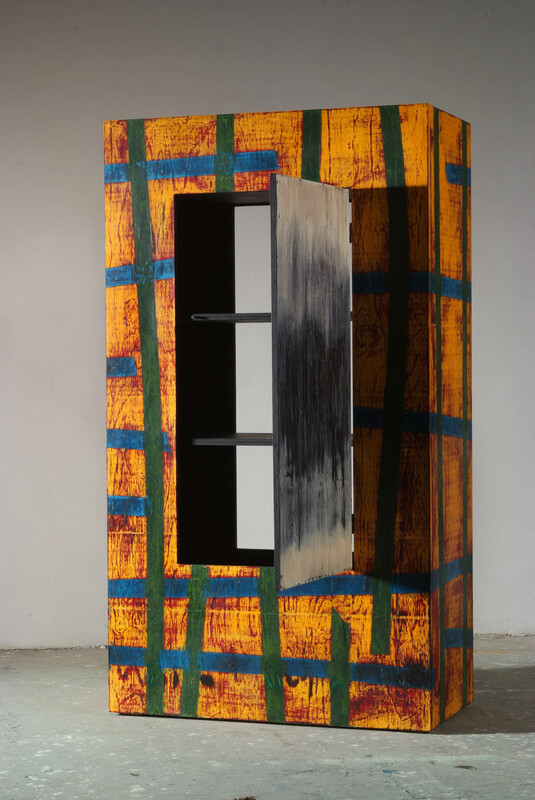 Growe conceives of the surface as a transparent window that opens the vista onto an interior, imaginary space. It is a completely abstract space composed of shimmering chromatic valencies that awakens associations with ocean waves, clouds and mountains, those natural phenomena and happenings in the landscape where heavy masses are set into motion, communicating also an impression of the sublime. 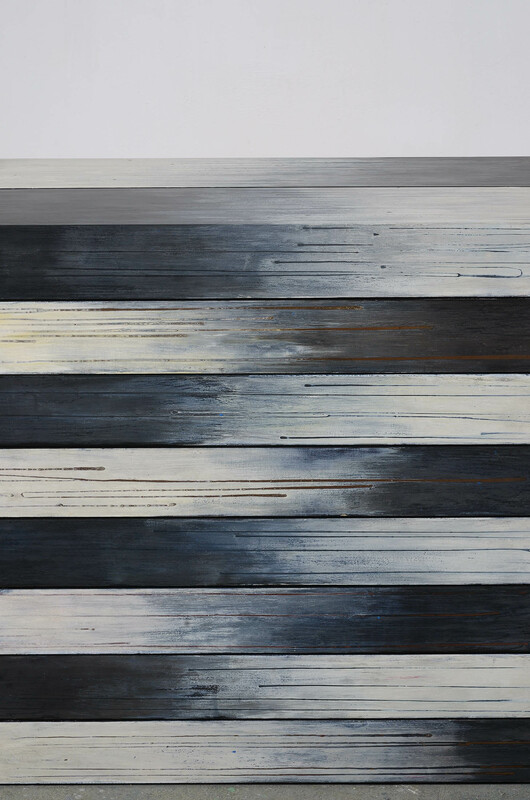 This allusion to the deeply romantic moment of immersion in an atmospheric phenomenon is at the same time an appeal to the viewer to abstract from the outer surroundings so as to lose oneself in the painting, to allow oneself to be captivated by the painterly masses. 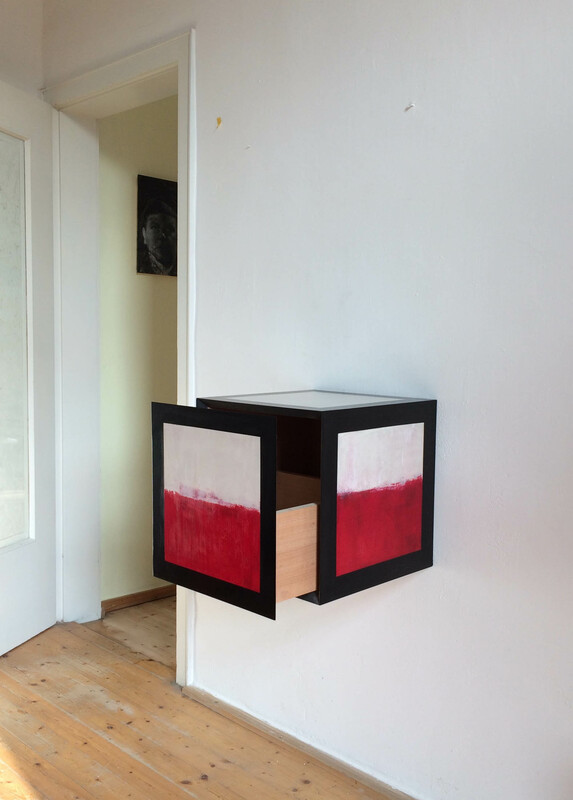 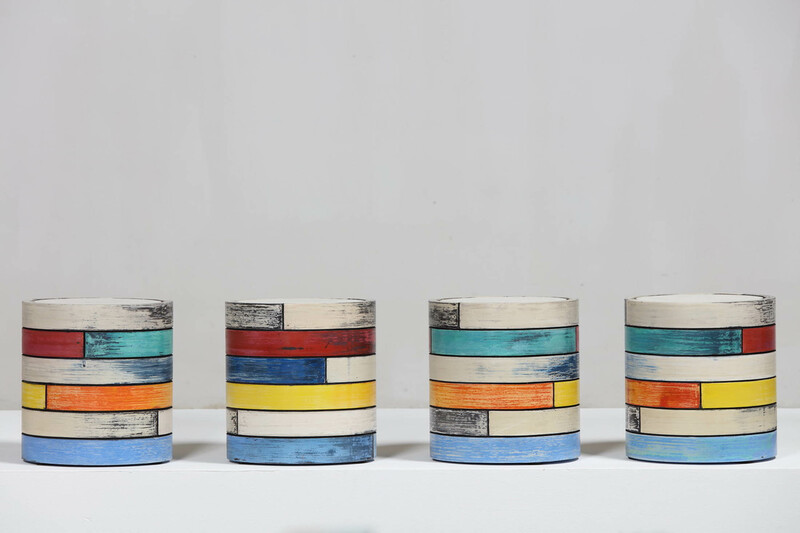 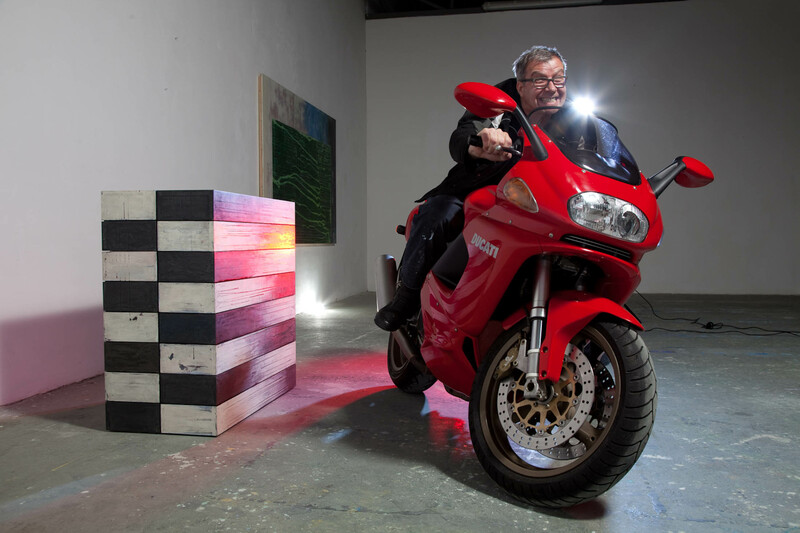 For his latest work, Michael Growe leaves behind the surface as traditional image carrier in favour of physically spatial objects. 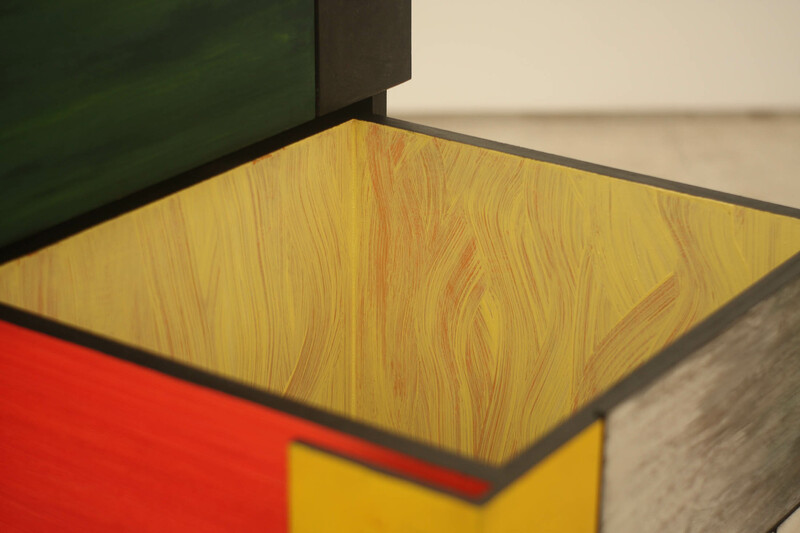 Based on the multi-layered application of paint, the repeated polishing and sealing processes lead to a visual spatialisation of colour. 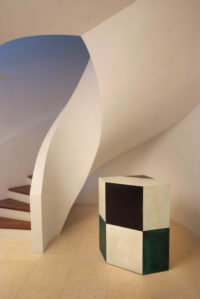 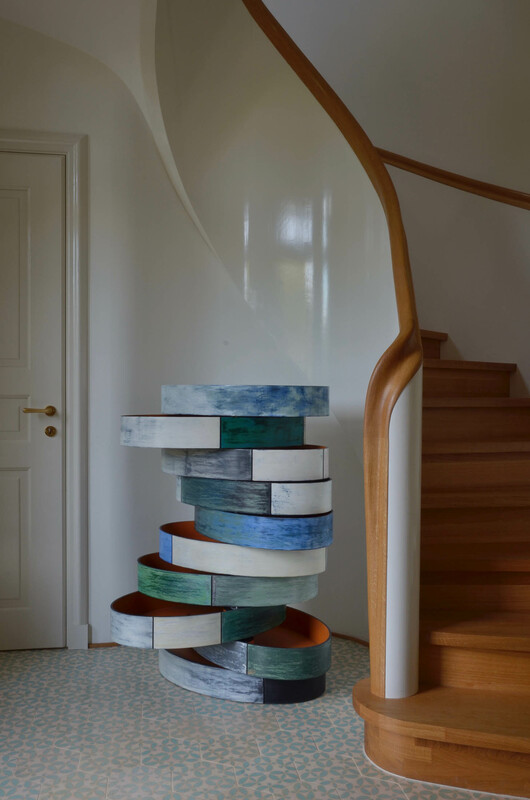 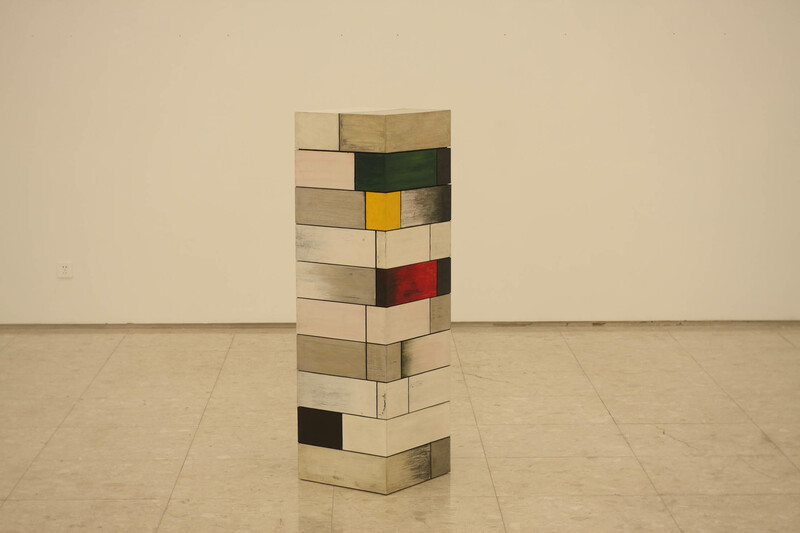 The results are incorporations of colour, corpuses without a plinth, that play with the suspense between transparency and density, with the lightness and darkness of colour and the ambivalence of background and foreground in a similar way in which his pictures do. 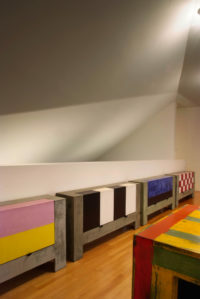 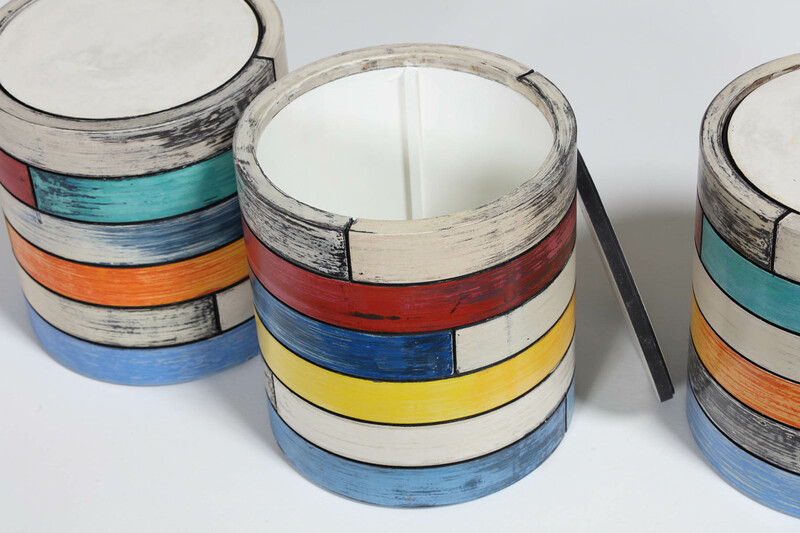 These incorporations of colour set the artistic processes of painting and sculptural shaping in relation to each other, incorporating functional aspects in their guise as usable pieces of furniture. The irritating result crosses borders between media, driven and directed by the aspect of an artwork structure both autonomous and serviceable.